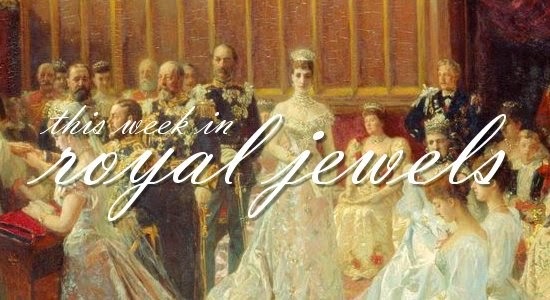 Royal tour of New Zealand and Australia aside, it's been a bit of a quiet week for royal jewels. Enjoy this selection of the sparkling stories we did get to see! Prince Ernst August of Hanover, son of the current head of the house, presented the Royal Crown of Hanover at Schloss Marienburg on Friday. This year marks the 300th anniversary of the establishment of the former personal union between the crowns of Hanover and Britain, a milestone that will be observed with various celebrations this summer. Queen Sofia of Spain wore gray and black jewels to attend a performance of Verdi's Requiem on Saturday. Queen Maxima of the Netherlands selected her usual set of bracelets and dangling earrings for a visit to an elementary school. At a Palm Sunday service in Dunedin, New Zealand, the Duchess of Cambridge wore again the silver fern leaf brooch loaned to her by the Queen for the royal tour. As the Cambridges move on to Australia this weekend, keep your eyes peeled to see if a royal brooch with an Aussie national symbol (maybe the wattle or hibiscus?) shows up on Kate. At the conclusion of the Irish state visit, Queen Elizabeth II bid farewell to President Higgins while wearing the shell brooch left to the Queen Mother in 1944 by the Thomsen family. 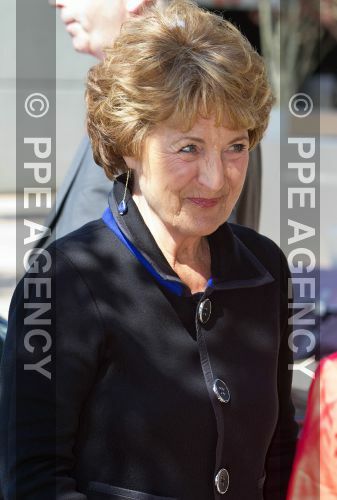 And then afterward, she changed into different brooch to head to the Newbury Races: a ruby floral brooch that was apparently given to her in the 1960s by Prince Philip. On Wednesday, my Twitter feed was all abuzz after the cover of the latest edition of Hola! was released; on it, Princess Charlene of Monaco poses wearing the Ocean Tiara, a wedding gift made by Van Cleef & Arpels. 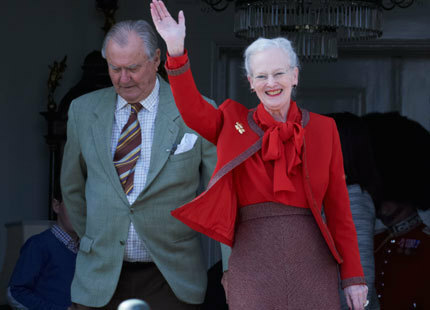 And a few more tidbits to end the week: Queen Margrethe wore a gold brooch to celebrate her 74th birthday on Wednesday ... Queen Elizabeth II wore a brooch with a floral motif to the Royal Maundy Service in Blackburn on Thursday ... we learned that Princess Leonore of Sweden will be christened on June 8, the first wedding anniversary of her parents, in the chapel at Drottningholm Palace ... Jazmin Grace Grimaldi, daughter of Prince Albert II of Monaco, wore delicate gold earrings to a film premiere ... and Princess Margriet of the Netherlands wore modern dark blue earrings at a book launch in Rotterdam. Until next time, magpies!